Club Penguin Cheats by Mimo777 Club Penguin Cheats by Mimo777: Club Penguin Card-Jitsu Fire Coming Soon! Woot! The Club Penguin Fire Dojo will be finished on November 24th and we will be able to begin playing Card-Jitsu Fire! It is now confirmed up to 4 ninjas will be able to play Card-Jitsu Fire at a time! Sweet! And, if you buy any of the playing cards you can enter to codes online just like Card-Jitsu. Wow, I am glad we finally have a date for the release of the new game, don't you? OMG the 24? MARKING MY CALENDER RIGHT NOW!!!! so cool mimo! i hope that it will be better than the original! Saweet! I'm happy for release date! 4 at a time?????? mimo are legendary mods better than mega mods? Finally, a new game! It's been a while (or months, I dunno.). Mimo, have you noticed that the fire stone-thingy in the hideout is the only one there? I think Club Penguin is making more elemental areas! 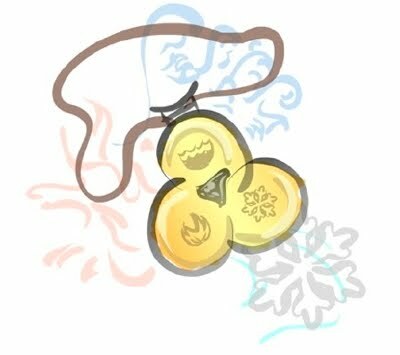 Since the amulet's description says, "Enjoy unlocking the secert doors in the hideout" or something along those lines, CP might be making more!! Well, I think they are. If they are, that's coolio!! Where you talking about Mega Mimo Mods, because Mega Mods do not exist. If you were....yes Mega Miomo Mods are not better, but of a higher rank than Legendary Mods. Hope I aswered your question! Nope. Here are the mod ranks in order of coolness. Got it? Hope this helped ya. Hey, Mimo? If you become a Mega Mimo Mod, you get 1000 free Webosaurs coins, right? What if you get up there and you don't have a Webosaurs account? Mega mimo mods are at a higher rank than legendary mods. Hope this helped! it depends, if it is a mega mimo mod, then no. if it is a plain mage mod, then yes. "mimo are legendary mods better than mega mods?" So, yes! Mega Mimo is better than Legendary. Mega Mimo mods are out! Yah! I noticed that too! I'M SURE THERE WILL BE TWO MORE ELEMENTAL PLACES! Then i guess you should get a Webosaurs account before then. Good luck! I know it's kinda late for this, but I have a recommendation for a new Mod: Skya! Skya has put a lot of effort into their Mod skills, and of course, Skya is "warped & proud"! She deserves to be a Mod way more than I do! Keep up the good work, Skya! Good thinking! They should make more! That is coolio! Lol, hope to see you there! We totally should! Great idea, I hope Mimo considers it! Congrats On Becoming a Mod Syka, Turtle, and Wild Hamster! Real great job! *Sigh* That's what everybody says. I am a member, but I don't think there's anything wrong with it. If we pay to be a member, CP can use the money to make thing COOLER. What goes around comes around, so us paying CP comes back as FUN! Heyy Mimo! Can you follow me on twitter? my twitter is "Alpha202cp"
Yes you're right November 24th. I know this is off topic but I just wanted to tell Syka this. I think you should really become a mod because before I saw the new mod list I always thought you were some kind of mod, you know why? Everytime I see you modding on a post, it's like everyother comment, I'm like OMG this must be her life's job! She's awsome at this, so yeah, I would really recomend you. Pinkrosie it is the 24th and Marking your calender is a GREAT idea to remeber! It's fine, it becomes a habit of mine and it's happend to me a couple times before. Saweet! I'm happy for release date! Yuppers! For ninjas at a time can play! Koolio as you said! Who said? Yes you can! Just try and don't give up! Heyy Mimo! Can you follow me on twitter? my twitter is "Alpha20cp"
Well if he hasnt followed you on twitter yet i would post another comment to remind him. But he is busy making parties going to school and rinning a blog that he might forget or not do it! So try not to keep your hopes up just in case! Dont worry! I have just started on this! I'm crossing my fingers for you! But remeber to write comments on other peoples questions or comments! Thanks, Hnw! With Mimo, it's never too late for mod reccomendation. Yes, I am warped and proud! To all CPG PPL, HAVE PRIDE IN YOUR WARPEDNESS!!! Ok, this is the last time I will say this: My name is S-Y-K-A. NOT S-K-Y-A. THE Y COMES BEFORE THE K, PPL! Once again, thanx!! *GASP* OMSZ! I AM A MOD!!!! THANK YOU MIMO!!!!! And, thanx (again) to all my supporters for helping me get this far. ;-D ;-D ;-D Also, congrats to Wild Hamster and Turtle140 for becoming mods with me. Do you mean you will never be a Mod...? If so, don't give up! Just keep on trying! Look at me, I'm not an official Mod yet, but I'm not giving up! Neither should you! Hope this helps and waddle on! Mimo will probably give you some other super- cool reward. Okay, okay, this is very weird, a Mod asking a question! Okay, does Mimo have a fan mail account? I'm sorry, I don't know! Lol, waddle on! mimo777 want be part of my site? Congrats new mods! Especially Skya! Well, Skya's wish has come true! Lol! OMSZ! You are finally a mod! Congrats Skya! I think you're talking about Mega Mimo Mods, and no. Legendary Mods are only better than regular mods and super mods. If you mean I will never BE A mod, than DON'T GIVE UP! I'm not a mod, but I still try! Good luck pal! Mimo I have a question. I answered, like, 25 questions last night, but you didn't post them. I was kinda upset. Can you tell me why? They would of been legandary mods aswell. But i think mega mods are better. Yeh, i bet they are going to make another card jitsu game called "Card Jitsu Snow" and "Card Jitsu Ice"
Yes YOU ARE A MOD! congrats! Hey there, Emily! That's awesome you wanna be a mod! I'll reccommend u since you were so helpful in reccommending me and getting me on the mod list. I'm sure you'll be great, but you need 2 change one small thing. If you want to be a mod, you need to put CPG Mod, not CPG Mod in training. It lets Mimo know you wanna be a mod. Kool? Happy modding, and rock on! I have a feeling we'll be pretty good CPG buds. Thanks, Race. Yeah, the OMSZ is phunnie, huh? It sounded good in my head, so I tried it out and liked it. RACET!!! MY NAME IS S-Y-K-A!!! It is getting VERY VERY ANNOYING THAT U R ALL MISSPELLING MY NAME!!! Me gets a feeling we will be good CPG buds. Just you all wait until I possibly get Twitter. No, actually mega mimo mod is the best spot, then mimo mod, legendary mod, and mod. Mimo they are already selling Card-Jitsu Fire on E-Bay! Yah, we will be good friends. I really like you. By the way, my nickname is race. I will call you sky. Ok? Srry, Mimo can't! He has his own great site. I know you probably want to be famous but read this quote: "Even pros start as beginners." Never give up! Cp has to do special things for members! If they don't, no one would want to be a member! Clubpenguin makes money by memberships. Let's all pool our money and buy it and make it a Christmas present to all the taco-eating smelly zebras of the world! JK. X-D I'll add it to my Christmas list! Thx, ditto 2 u. You can call me that if you want, although I would prefer Syk cuz my name is spelled S-Y-K-A. Happy early B-day 2 u....you know the song. I'll sing the rest on your real B-day. OMSZ u have the same B-day as my grandpa! LOL! When are we going to have another Q & A? I have a good few questions to ask you. I'm sure it was just a mistake out of habit for always modding, but try nt to put CPG Mod after your name unless you are correcting or helping someone. No mods are actually better than each other, they have just been doing it longer. But yes, Mega Mimo mods are 'higher' up than legendary mods. Yeah, I know. I goofed cuz I mod so much! LOL. So do I! He might have on this or next month. Thx. Don't give up! You'll make it! Hey! Thats my thing! I HAVE A COPYRIGHT!!!!! JK, LOL. U can use the sign-off if u want. Well Mega mods are higher up than legandary mods but they are not necarrlry better that mega mods, the reason they are higher up is for people who have modded foe a long time! Mimo has 3 websites to run and i don't think he would even have time to work for other peoples sites. Also others wouls complain saying its not fair that he works for one persons site and not anothers so there is no chance! Hope I Helped! Cool, hopefully they will be out before chrismas in stores! I can't wait! Four penguins! That's awesome! Yep! i was waiting for a date too. Oh, sorry about the y/k thingie, Syka! Lol, should have noticed that (I don't know if you know this, but you are in the Mod list now! Congratz!) Oh, and don't call me Hnw, call me January! Jk, call me what you want! OH! i know! its not that bad! trust me i wasn't a member until like a year ago and now its perfectly fine! Wow, that's a weird coincedence! Oh, and just in case I forget, happy early birthday! Well if I knew what a "Star Reporter" Was i'd probably say it wasnt a good idea to just give them out. sorry if i sound rude! I'm not trying to! Star Reporter is a Club Penguin book, and if you have it you can unlock it on CP! Cool, huh? thanks for the tips on mimo's last blog! It will help me! (BTW) I think i should atleast write as many comment things as you do before i become a CPG! So happy that you would vote for me! thanks for all the support!You are great!!! And from now on i will put (CPG) after ever thing in answer! Thanks again syka! I know finally a date! WOOT! Your welcome! I'm open if u need any modding advice! i had a dream about card jitsu fire!lol! OMG!!! Pretty soon I have got to mark my calender I mean it has been months of waiting and now it's finally here also I would like to be ur buddy so bad!! !